Club Membership meetings are held on the 3rd Thursday of every month except for November starting promplty at 6 pm. From December through April (winter months) meetings are held at the Copper City hall located next to the Post Office in Copper City. 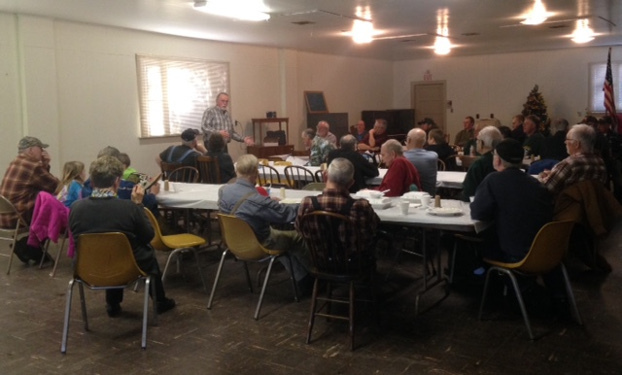 May through October (Summer months) meeting are held at the clubhouse on Phoneix Farms Road. 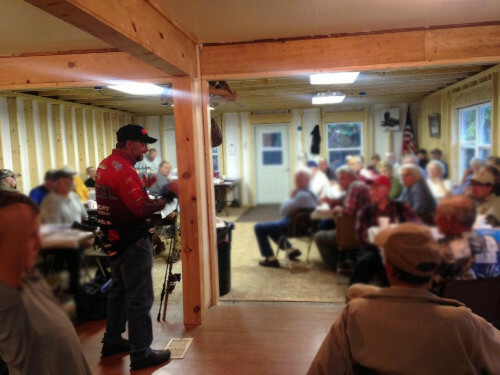 After a short businees meeting the club features guest speakers addressing fishing, hunting, deer feeding, conservation issues and additional topics of interest to Keweenaw Sportsmen and Sportswomen. To be held on March 21, 2019, at the Copper City Community Building in Copper City. Meeting starts promplty at 6 pm. Guest speaker will be Neil Harri. The Board of Directors for the club shall oversee the welfare of the Club and be responsible for the approval and implementation of all projects undertaken by the Sportsmen's Club. Director term of office is 3 years. Board meetings are held on the 2nd Tuesday of each month starting at 6 PM. Meetings are open to everyone. During the summer months (May through October) the club meets at the club house. During the winter months (December through April) the board meets at The Hut Inn in Kearsarge.